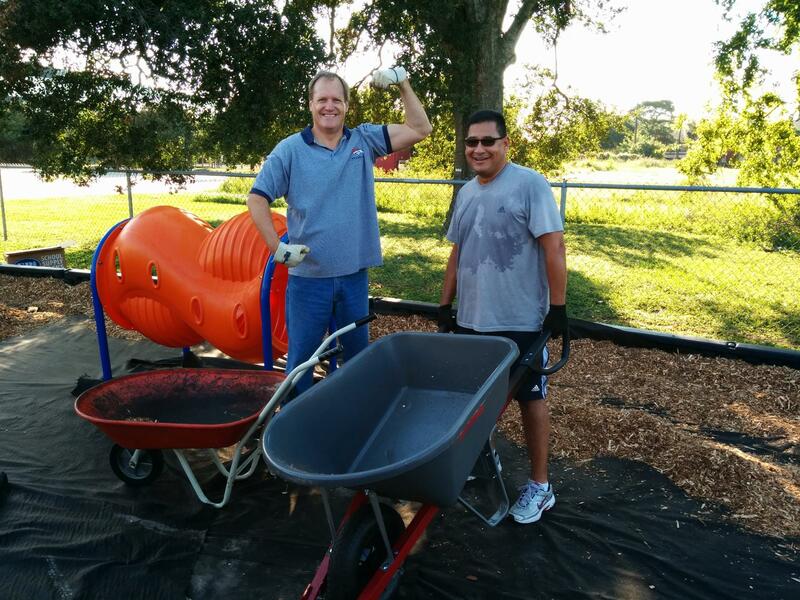 The Willowbrook Rotary Club originally build the children's playground behind the Northwest Assistance Ministry building on Kuykendahl Road Building about 1995. This year the club took it on to repair several play facilities which were damaged and to replace the playground material. It was necessary to replace a slide, a crawl through tunnel and several steps in the playground. Two 16 wheel trucks delivered new mulch, see the picture below. 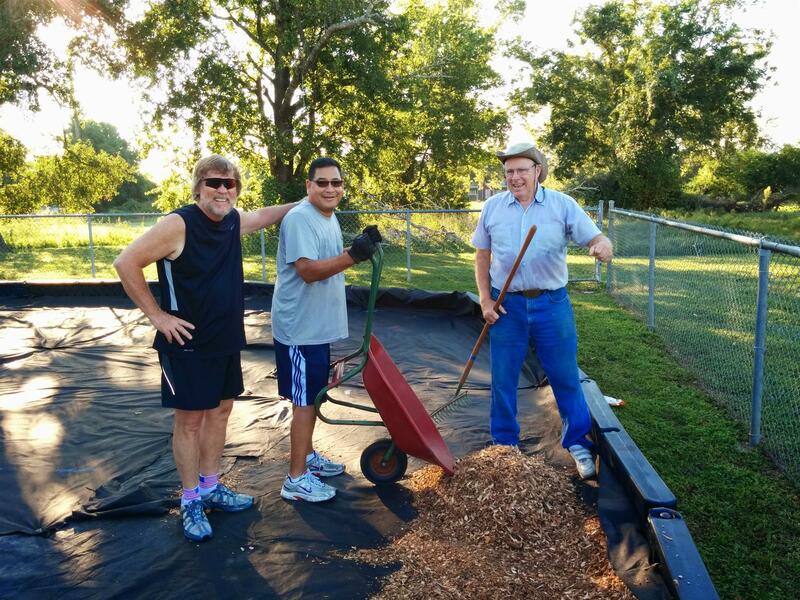 This mulch was moved inside the playground with assistance from many volunteers including Rotarians, Klein High Rotaract Club, Rotary Exchange Students, and NAM volunteers.